Taco Bell's new Naked Chicken Chalupa Big Box Review - LostThoughts909.com - Random topics from a black dude's perspective. First off... Do you see this box tho?!?!? 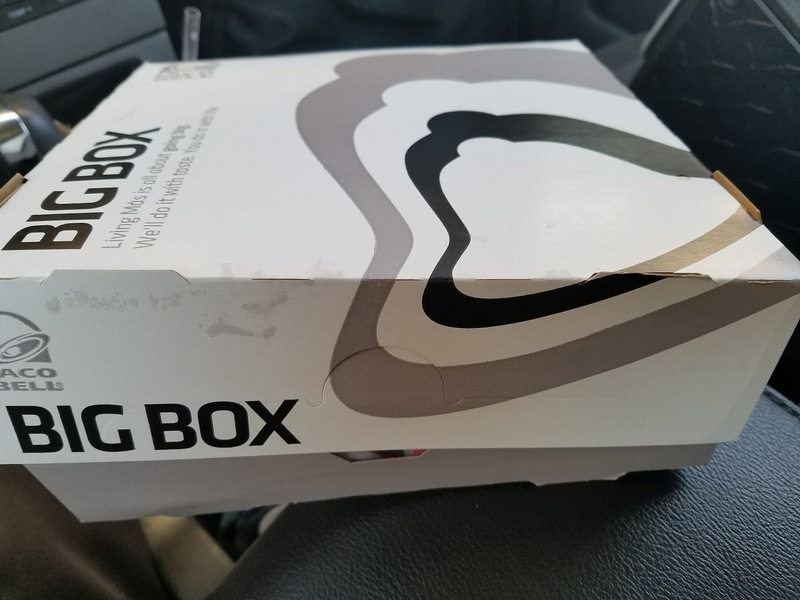 You know this Taco Bell had to be in a somewhat decent neighborhood cuz the Taco Bizzel on da block stuff your "box" in a napkin and condiments baggy if they even give you a bag at all. 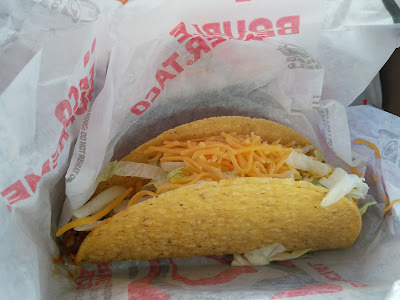 I must say tho, Taco Bell be extra generous on the sauces like Jack-in-the- crack. The bag be half sauce half meal! Dawg this shxt is honestly ridiculous. Bro take a good look at this crap. 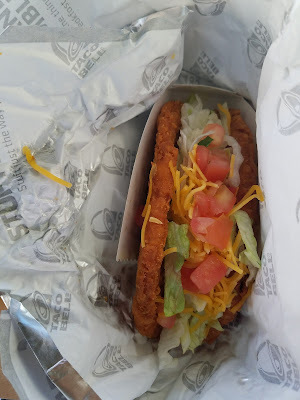 Worst part is, this is my second time ordering this mess because the first time my fat @ss was so hungry I forgot to take pictures. Even my fellow fat brothas anonymous didn't know what to think look at this. Isn't there a food triangle or pyramid or sum ish that tells you how different types of items need to be in your meal. Is this stoner foot or fat people snack. I'm sure this would cause even more paranoia to the average bath salts connoisseur. I'm sorry but I'm fat. I need starch. If you're still reading and wondering, "Well, what the fuq did it taste like?" Bro... It taste like shame. It's a new low for a fluffy dude. Doritos Taco to the rescue!!!! Phewww! 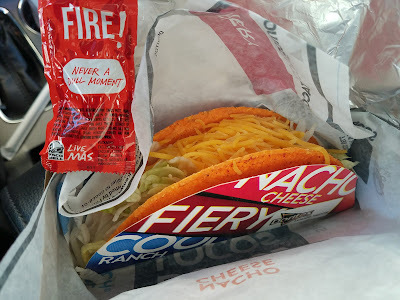 Now I prefer Cooler Ranch, then Fiery Nacho before Nacho Cheese Doritos but at this point. I didn't really give a Oroville Dam at this point. 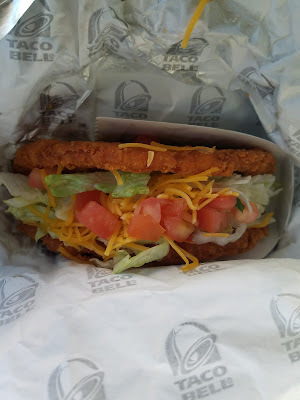 Good thing they got that protective case because have you ever had a Doritos taco that did collapse on the first bite? Am I the only one that thinks these scrawny @ss tacos are disrespectful? Why do they still put them in every meal like they're fries or something? Just add fries to the menu or give a brotha a choice! I'll take them repulsive excuse for nachos, or a mini quesadilla, or chicken soft taco or something. Please! Pink lemonade. My usual. I'm large but I don't drink soda cause I have enough gas. I'm not in denial though so I don't drink diet. 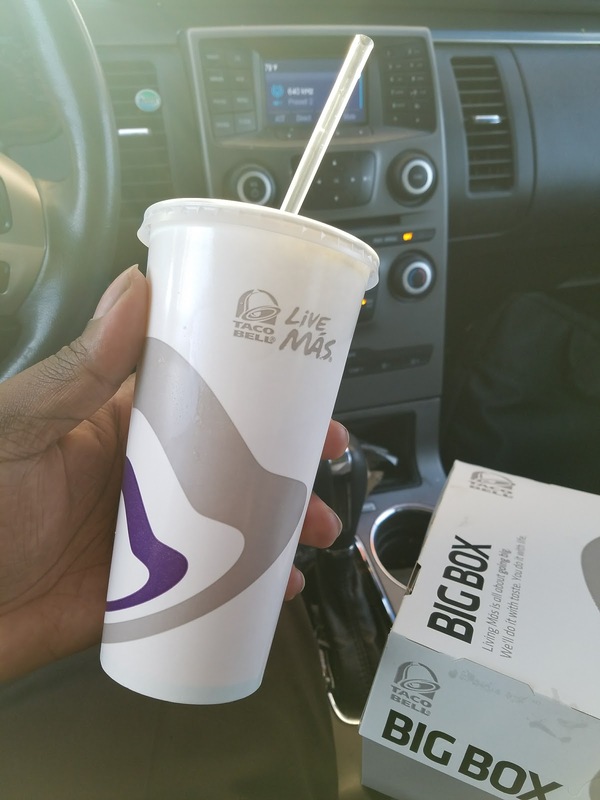 I don't know what it is about Taco Bell drinks but they always taste like the water was filtered through Big Foot's teeth. Why is it so nasty? I was just thinking. I went to that dXmn artificial meat having Xss place during happy hour and didn't just get a testicle shriveling Mountain Dew Baja Blast Freeze and a chicken dilla. I'm such a fatty. At least it wasn't Del Taco... 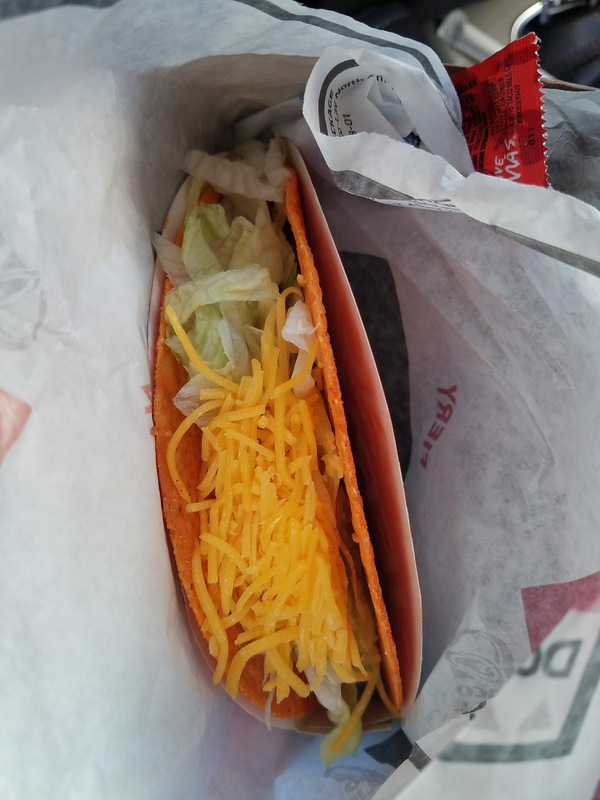 They are cheaper though and fully represent on taco days!